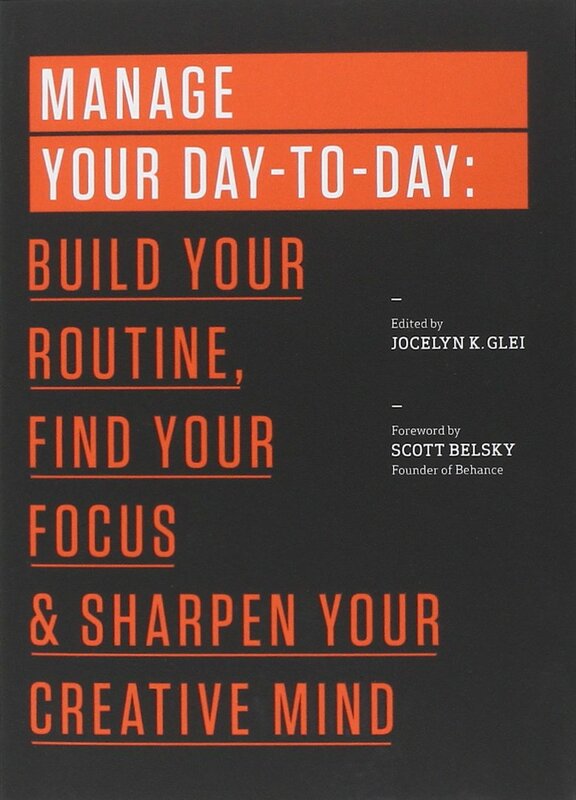 Manage YourDay-To-Day: Build Your Routine, Find Your Focus, and Sharpen Your Creative Mind,edited by Jocelyn K. Glei, is a compilation of interviews with and commentaries by creative types you are probably familiar with: Seth Godin, Stefan Sagmeister, Tony Schwartz, Gretchen Rubin, Dan Ariely, Linda Stone, Steven Pressfield, and others. The main focus of this book is to offer best practices for creating your best work. Each chapter contains a few pieces of advice from multiple different experts. This format works nicely because each expert offers a different perspective on the topic. 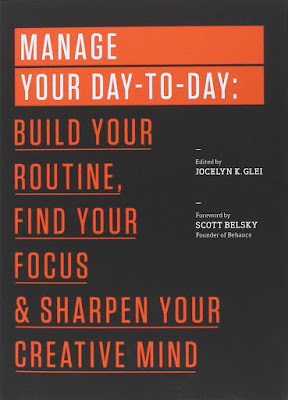 For instance, some of the topics covered in Chapter 1: Building a Rock-Solid Routine include Laying the Ground Work for an Effective Routine, Harnessing the Power of Frequency, and Making Room for Solitude. Each chapter ends with Key Takeaways. Distractions rule our minds for two main reasons—they are everywhere, especially in the form of social media and e-mail, and because we and others expect people to be continually connected. We’ve lost the ability to just “be” in between meetings or when we’re working. Instead, we’re flitting between the task we’re trying to accomplish and the e-mail that is constantly waiting for us. This entire chapter is about how to quiet the distractions, practice self-discipline and focus, and get more done. The first statistic in this chapter is a shocking one—“A recent study by the McKinsey Global Institute found that the average knowledge worker spends 28 percent of his or her workweek either writing, reading, or responding to e-mail.” While this chapter is filled with both the negatives and positives of technology, especially the Internet, one expert recommended that we each take one day a week where we completely unplug to rest our minds and connect with people in real life. In our results driven society, creativity is often neglected. This chapter examines just how important creativity is to both our health and our careers and offers suggestions to find ways to implement creativity back into our lives. The experts also suggest that when creativity stalls, you may have to look at the rest of your life and see if there are any significant road blocks. This book isn’t necessarily a how-to book. Rather, it gives input from experts about challenges we’re currently facing. Each expert has a different take. Still, I found this book important in two ways. The experts challenged my complacency about technology and its often overpowering presence in my life and they offered me ways to improve my daily routine and how much time I spend on technology. At $10.99 paperback or $5.99 Kindle, (or FREE with Kindle Unlimited) I find this book valuable, especially if you struggle with your work life bleeding into your home life and have the feeling that you can never accomplish all that you want to.